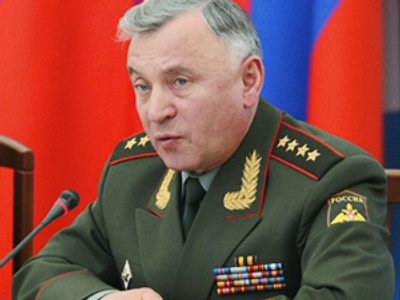 Russian military bases will stay in Abkhazia for at least the next 49 years, according to the republic's president, Sergey Bagapsh. The president told ‘Nezavisimaya Gazeta’ newspaper that joint Russian-Abkhaz plans to open an airbase in Gadaut and a naval base in Ochamchira remain unchanged. The leader also said that several Russian battleships will help maintain order on the Abkhazia-Georgia border. According to Bagapsh, the projects are not expected to be too costly as all the infrastructure remains from the Soviet times and only repairs are needed. Three hundred Abkhazian troops, along with their Russian counterparts will be responsible for patrolling the country's borders. Russia recognised Abkhazia's independence in August 2008, following the conflict between South Ossetia and Georgia. In September, an agreement on military co-operation was signed, making it possible for Russia to rebuild its military facilities in the republic. It's expected that besides planes and warships, Russia will also send 3,700 troops to the republic. Some military analysts say Russia may benefit from this relocation, although other countries may object. What’s in store for Pentagon?